MrTickTock 2.2 has been released and published at http://mrticktock.com. 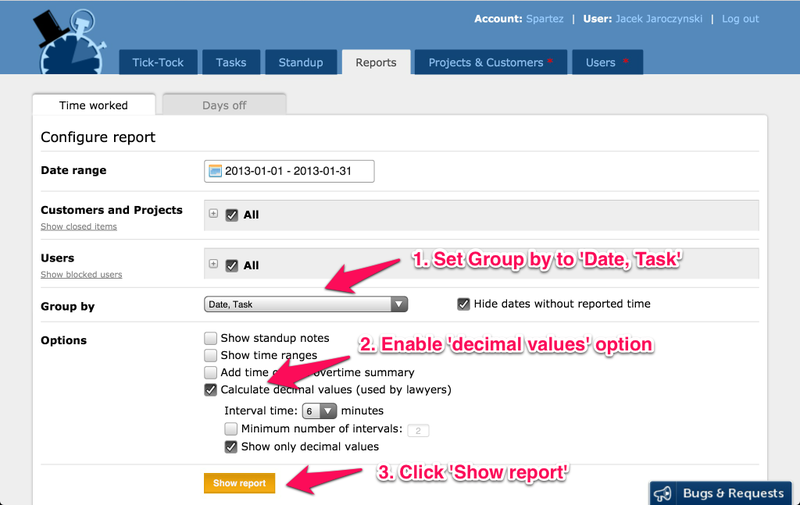 This time we have added couple of features to help teams track progress of their projects and improve billing process. 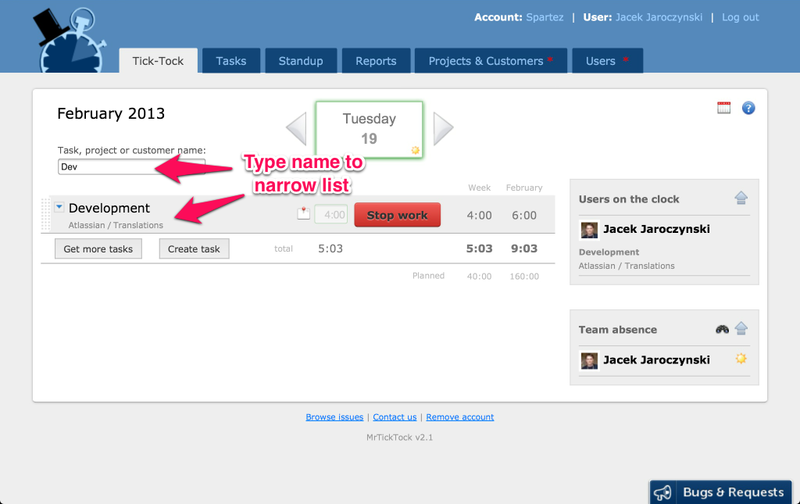 We have also focused on several other improvements (UX and performance) for small and larger teams. If you don't want to bill your customers for time spent on internal or not related activities then non-billable tasks are the right choice. 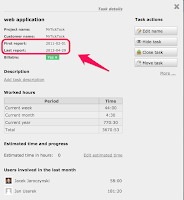 Details popups for Customers, Projects and Tasks now contain First time report and Last time report data. This is a great indicator of when activity started for the Customer, Project or Task and when it has finished. If you use time slots feature and report or modify time ranges using Start/Finish time input fields then you can simply type "now" keyword into these fields - it will be automatically converted into current time. You don't have to look at your watch and type the actual time into MrTickTock any more . 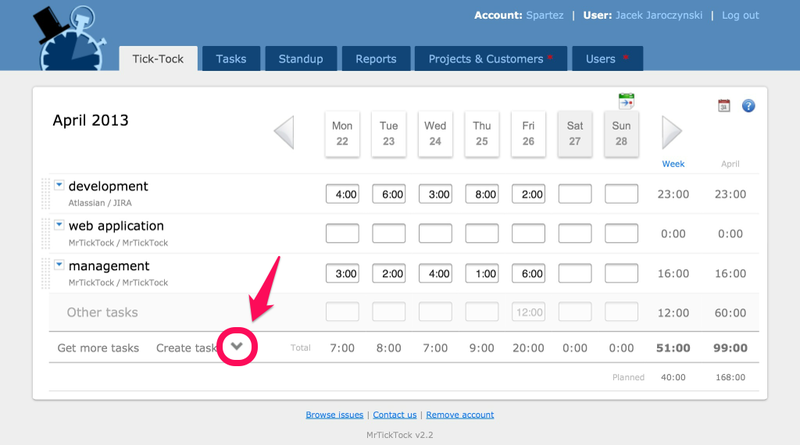 One of MrTickTock features is to show on Tick-Tock page all tasks which are hidden but have time reported in the current month. 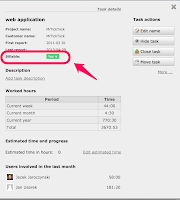 It allows to quickly preview what we worked on and is extremely useful in case of decent amount of tasks. 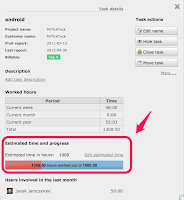 It appeared that some of our customers create bunch of short tasks every day. 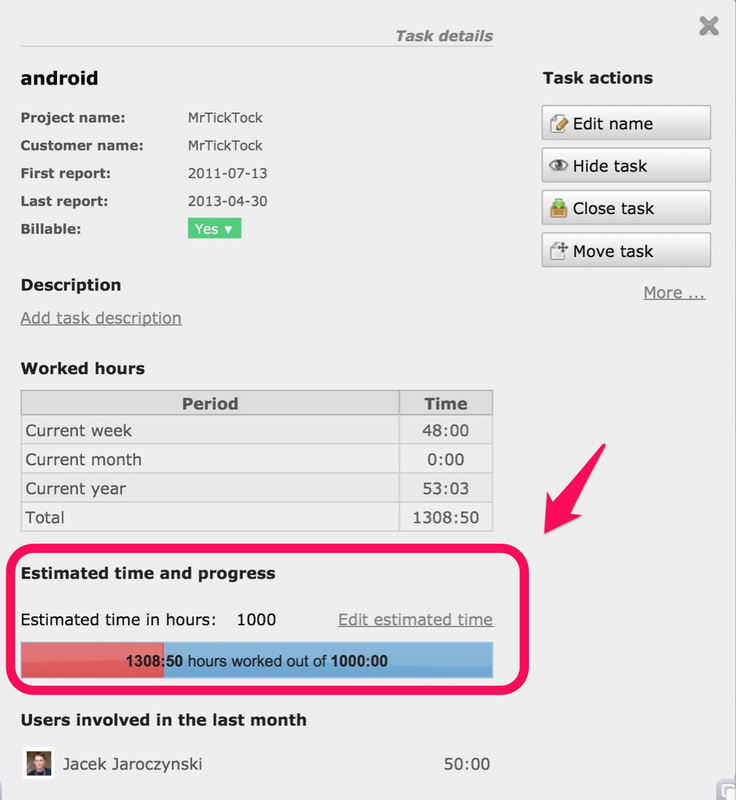 It results in having tens of tasks on the main Tick-Tock view and makes it very cluttered. 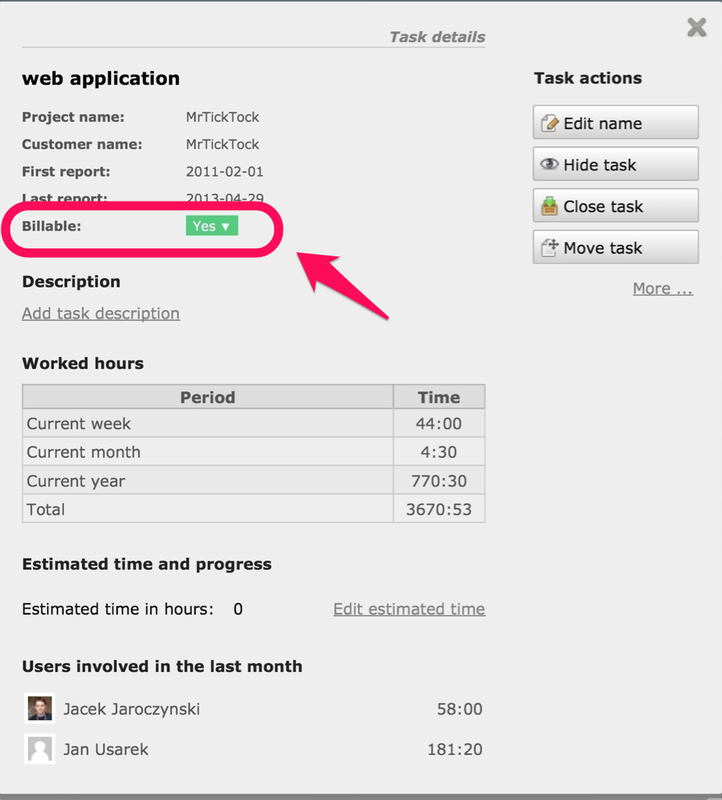 Some companies using MrTickTock are creating tasks very actively and have thousands of them in open state. 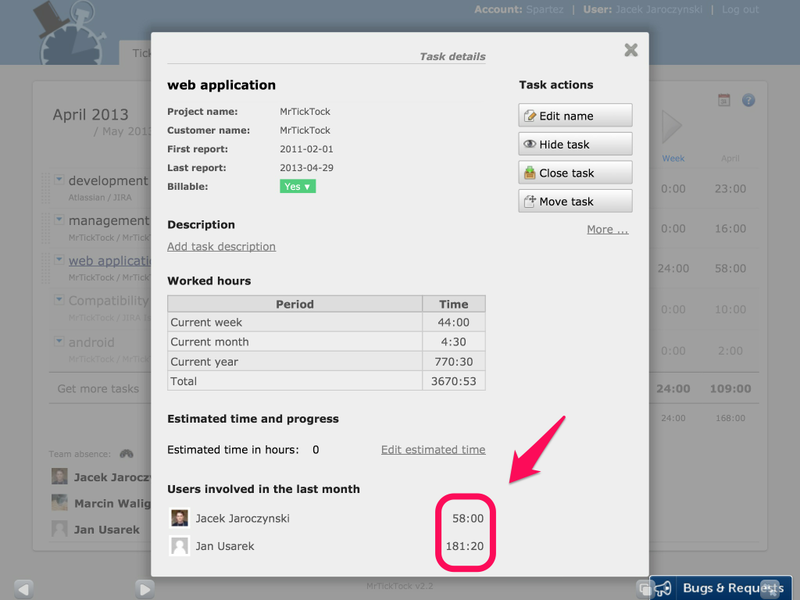 We have improved Tasks page performance so it works well with such enormous bunch of data. 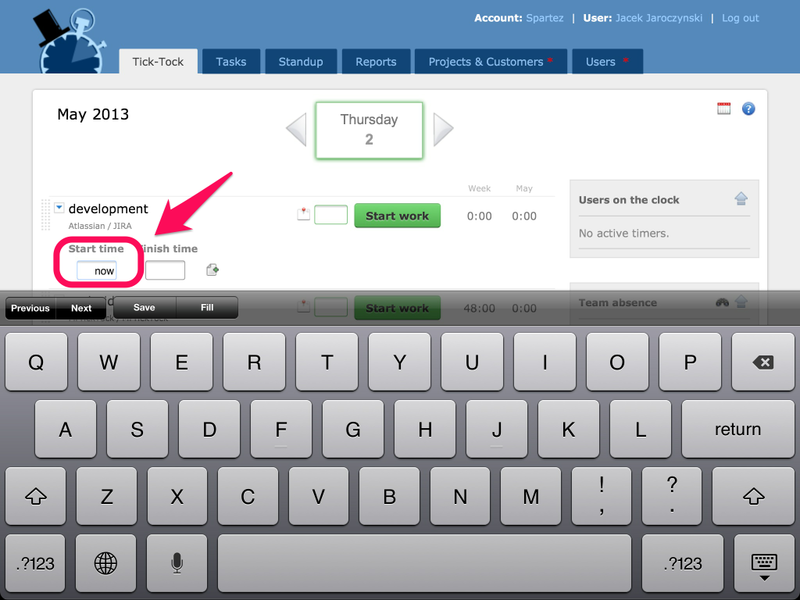 Absence calendar works well with large number of entries (absent users). More AJAX and fewer reloads on Tick-Tock page. Edit task name UX improved in various places. 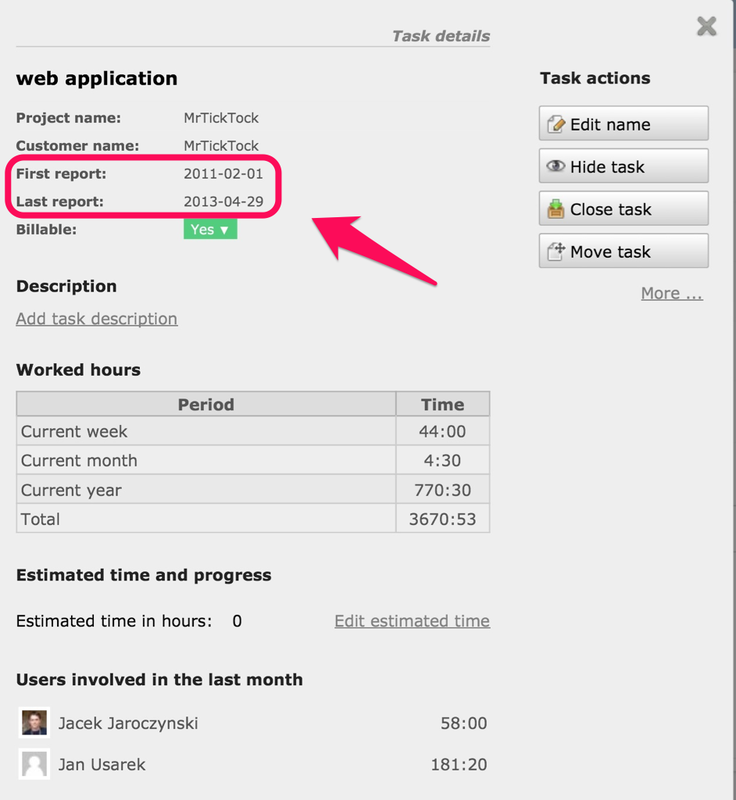 Show report button in Project/Customer/Task details popup. Allow to change company name on the company profile page. 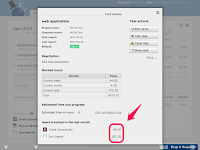 Close Task action makes task hidden automatically. More balloon hints for beginners. 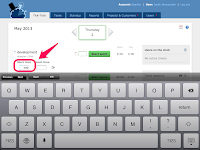 Version 2.3 will bring some additional billing features. We will also go through the list of features requested by our customers.